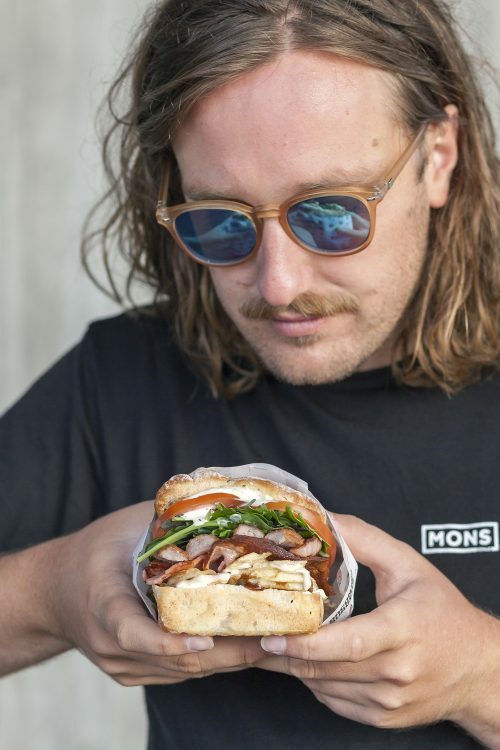 We are stoked to announce the first Special Burger of 2018 ………… The Kiwi Summer Burger!! This is a kiwi backyard bbq in a burger!! Kiwi dip, salt and vinegar chips, sausage, bacon, lettuce, tomato, bbq sauce and watties sauce. Absolute cracker of a burger! I was inspired into creating this burger after tucking into some bbq tucker after a fun day at the beach spent playing frisbee, beach cricket, thowing the ball around and splashing around in the water. We had taken the bacon ute to the beach and bbqed up some sausages and bacon. We had leftover dip and chips from earlier so I whacked them in the burger. 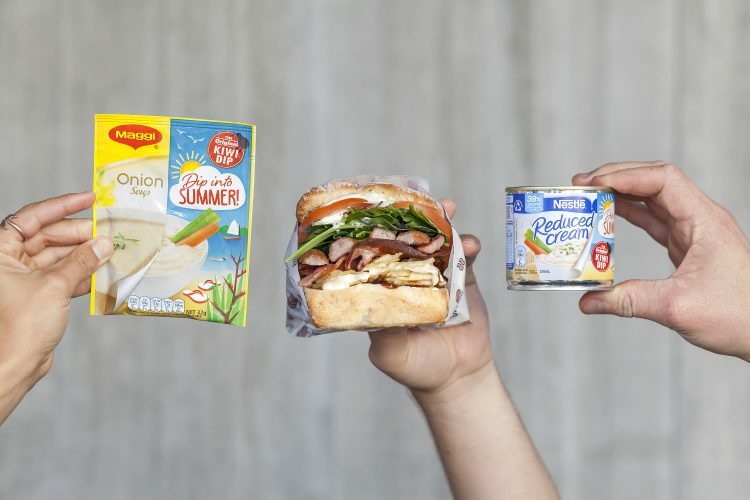 And as easy as that, the kiwi summer burger was born….. I was sitting on the beach with the bacon bros crew thinking wow, is this the best burger I’ve ever had????? Probably at least top five 😉 We gotta make this in the burger bar!! Get your lips around this little gem, as she is available while stocks last! !